Can you believe it’s already April? This year is flying by, isn’t it? Easter baskets have always been a big deal in our home. When Casiday was little, her basket contained her frilly socks and big hair bow. And a chocolate bunny, Peeps, you know — all the Easter sugar. But the biggest part of her basket was never the candy or the accessories. Our main priority was to keep the focus of Easter on the reason for Easter — the risen Christ. When Casiday was little that meant things like stickers and books that opened the door to reminding her about the Easter story. As she got older, we gave her devotionals, encouraging books, and even a Bible. We have also included jewelry to remind her of her identity in Christ or a Christ-like trait we have seen in her life. It’s so easy to let opportunities to encourage our children’s spiritual formation slip by. Easter has become a marker for us, a time when we take time to consider what we see in Casiday’s life and how we can encourage her continued growth in Christ. Maybe you have a heart to do the same? If so, I’d love to introduce you to a fantastic resource I’ve recently learned about. This is PERFECT for those of you with younger children … but it is also a great tool to offer your tweens and teens who want to learn how to share their faith with others. My friend Cherie recently shared with me about the amazing work of Spread Truth, a fantastic organization working to equip believers to share their faith by sharing The Story. I encourage you to check out all they are doing. It’s incredible Kingdom work! Today, though, I want to share the resources they have for children. Y’all, this is great stuff! Simple and easy-to-use resources designed to help you share the greatest story ever with your children … and to equip them to share that same story with their peers. 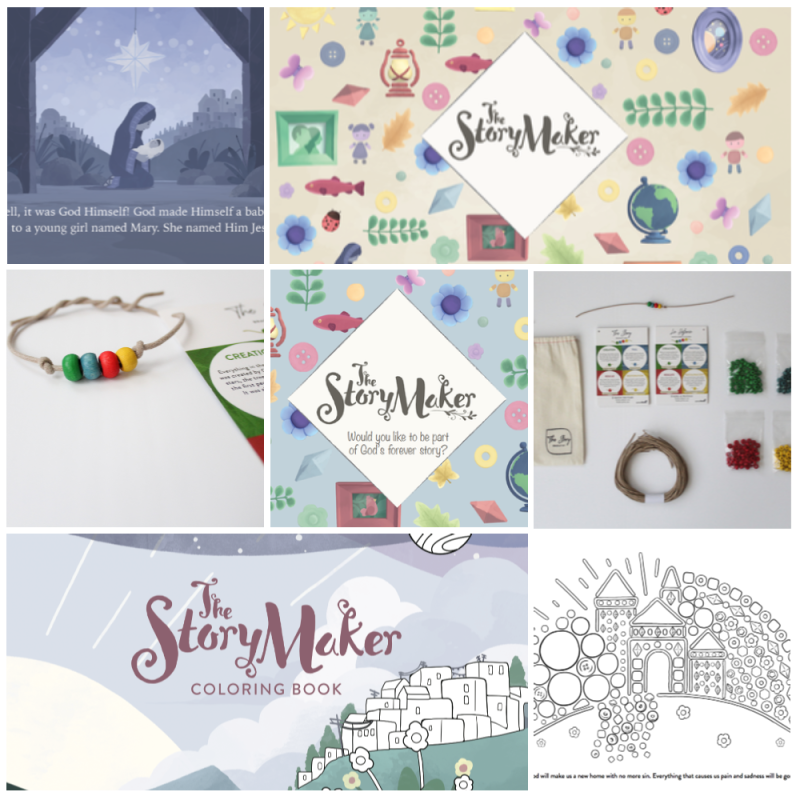 A beautiful presentation of the Gospel story for children, The Story Maker coloring book pairs perfectly with the animated short film “The Story Maker”. It can also be a stand alone item as it presents the metanarrative of the Gospel in easy-to-understand terminology. From creation to fall to rescue to restoration – children can read, color and better visualize God’s story and their place in that story with this great tool. You can also get The Story Maker booklets and bracelet kits. These are bulk resources but the pricing is really great. 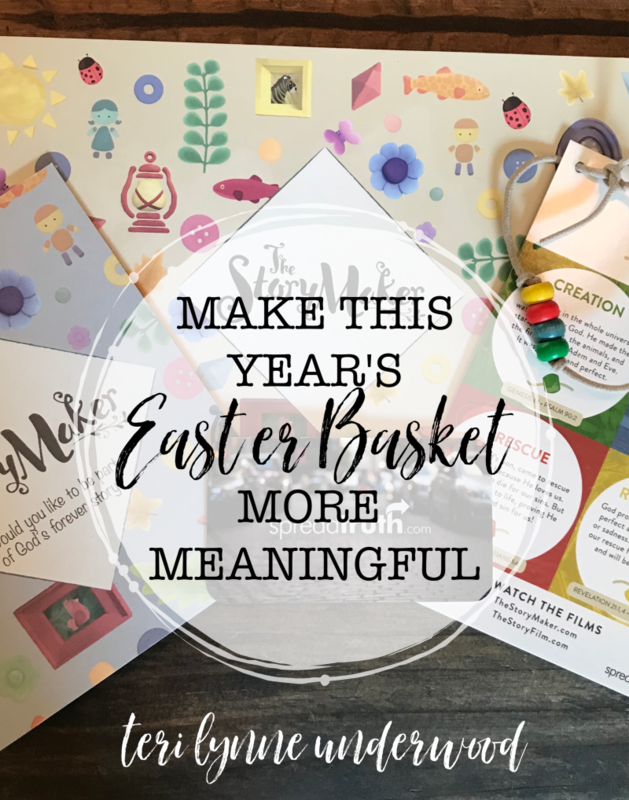 If you have several children in your family, you could easily spread these out among them … or they would be wonderful to give to children at your church on Easter morning. Y’all, finding beautiful tools to help encourage our children to know the gospel message and share it with their friends is so important. I’m thrilled to share these resources with you. And, if you decide to purchase, you can get free shipping for orders over $50 with the code FREESHIP. Let me give you a quick example of how you could spend $50 and share these great resources with your children and several others as well. If you have two children at home, you could give them a book to share, a coloring book each as well as giving each one a bracelet kit. You would then have 20 booklets and 48 bracelet sets left to give to other children in your family, in your neighborhood, or at your church. For $55, you could connect up to 70 children with the gospel! I think this is a great way to live out the Easter message!! For real, these are great tools and I can’t wait to share them at my church. My daughter is too big, obviously, for the book and coloring book … but these bracelets and booklets would be perfect to give to the kids we know. And if you really want to make an impact, let your children share these bracelets themselves … practice with them so they can tell their friends the hope we have in Christ! FYI: I’m not making a dime for sharing this resource — I won’t receive a commission or any payout if you purchase from Spread Truth … I just believe this is such a great resource and I want you to know about it and then use it!! Click here to order The Story Maker products! P.S. Don’t forget to use the code FREESHIP for free shipping on all orders placed by April 15!